Yarrow is a wild plant with lovely feathery leaves and white flowers. It grows in our outside grass. Mummy picks it for us as a treat. It is certainly a treat as it tastes and smells yummy. It is called achillea millefolium in that Latin language used to name wildflowers. 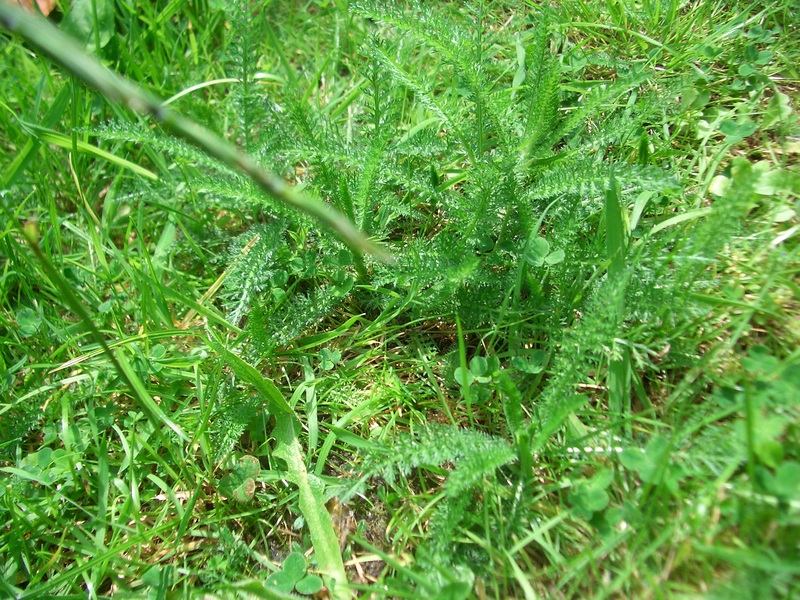 Yarrow grows in grass- and wasteland and the narrow, ferny leaves may be found creeping through lawns. The plant looks Umbellifer-like, except that the stalks do not all join at one point. If crushed the plant smells aromatic. Well, I said that, didn’t I. Grows in our outside lawn, ferny/feathery leaves, smells yummy. Mmm, I’d really like to eat some yarrow now. Yes, you did, Vic. You probably know more about plants than the book does.